We build community centers in Senegal to empower women and girls, expand access to education, and foster opportunity by providing resources and promoting the exchange of culture and ideas. We are building learning centers in Senegal. Our first one, the Lambaye Learning Center is currently under construction. From our beginnings as a 5 member school club, we have always stayed true to our founding. We are students, educators, community members, villagers, architects and government leaders. In nearly 10 years, beginning as a small high school club meeting weekly at lunch, we have been transformed into an international NGO that has raised over $300,000 for students in Senegal. We are currently building the Lambaye Learning Center, a 4,000 sq. ft. state of the art Library-Community center that will transform education and promote gender equality for the 30,000 inhabitants of Lambaye, Senegal. Through our other programs we have also supplied school supplies, sports equiptment and funded scholorships so that all students in Lambaye can go to preschool. For boys, that number is 78%. We're working to expand literacy and education with a special focus on women and girls to change this. Parents often only have enough money to send one child to high school, they almost always send the oldest boy. We are laser focused on improving opportunity for the people of Senegal. Our biggest project is the Lambaye Learning Center (LLC). The LLC is a collaborative effort with New York City Based BKSK Architects and will serve as a model of how to reach high needs populations (particularly women and girls) in rural Sub-Saharan Africa. Phase I of the Lambaye Learning Center is FULLY FUNDED at a cost of $250,000. We are actively now fundraising for Phase II of construction. The Lambaye Learning Center, designed by BKSK Architects and the People of Lambaye. Phase I currently under construction. The entire community will have access to the LLC. Students will have free access and adults will have a small nominal fee (approximately the cost of a soda) to help with upkeep costs. Equal access will allow women who may not have been able to get an education to learn new skills and ensure that all people in Lambaye have a safe space to study and work. Programing for students and adults will be provided free of charge. Classes are scheduled that will teach adults new skills and a full time trained Liberian has been hired and instructed to emphasize programming that expands literacy for students. The LLC is designed to run with a minimum of outside support ensuring the long term sustainability of the project. BKSK has also ensured that the design is up to the highest environmental standards possible by including solar power, water reclamation and other environmental features into the design. The LLC will have access to the internet with modern computers, tablets and a constant, reliable source of electricity, a real problem in rural Senegal. Students will have resources to learn new skills online such as computer coding, math and science. Skills they can use to get advance in their studies and find employment. We could not do the work we do without the support of an incredible group of students, educators & community members. Get involved and take action today! Whether its by signing up for emails, volunteering at one of our events or making a donation, each of you can contribute in your own way to our cause. Get notified of all events and initiatives by signing up for our email list to make sure you don't miss anything! We always need volunteers to help us run events, collect supplies and support our programs. The best way you can support us is by making a donation today. 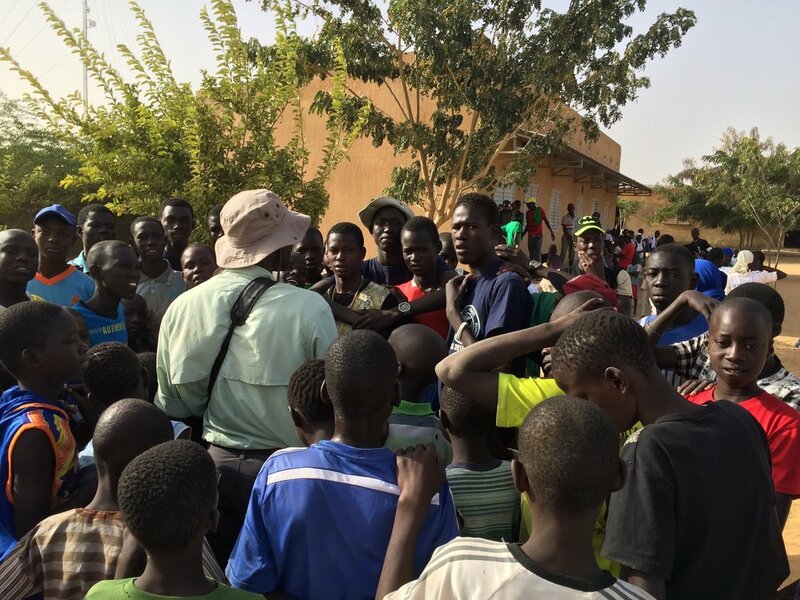 Your gift will go to directly benefit the people of Senegal.